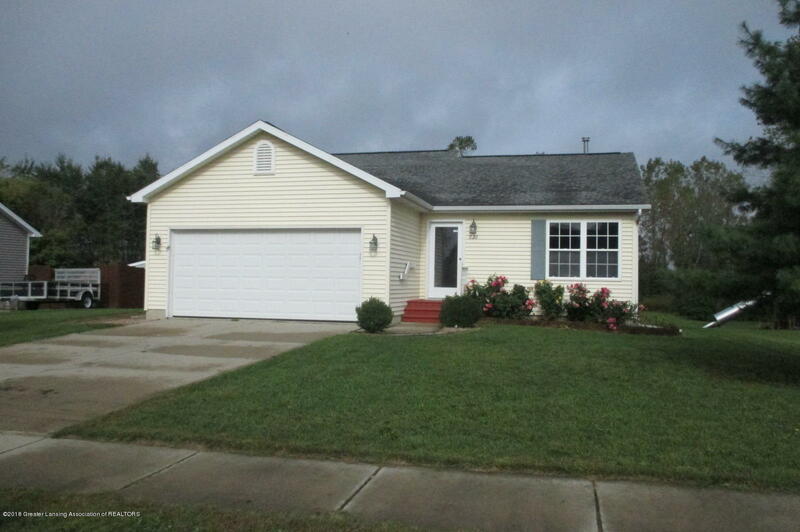 Don't miss out on this newly decorated, well-maintained ranch home built in 2001. As you enter, you will find a vaulted ceiling and an open floor plan with the living room and eat-in kitchen. The master bedroom has a walk-in closet and a Jack & Jill bathroom. Basement level has a rec room, 3rd bedroom (with egress window), full bath and laundry. Lots of outdoor enjoyment from the large deck overlooking your private basketball court. This house won't last long!